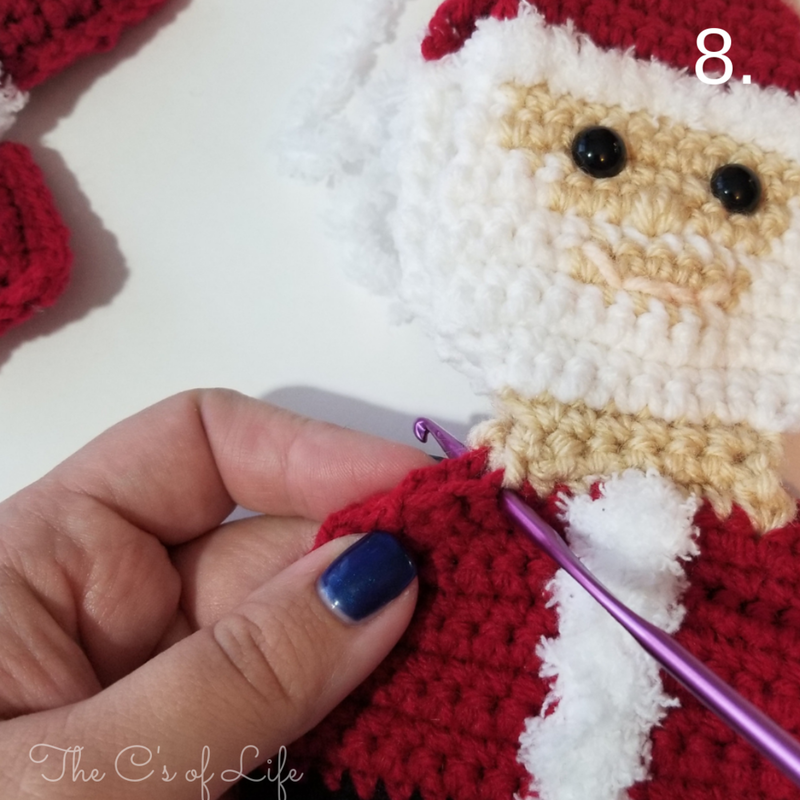 In case you were wondering why I named this pattern “ho ho” it’s because my kids have always called Santa “ho ho”. 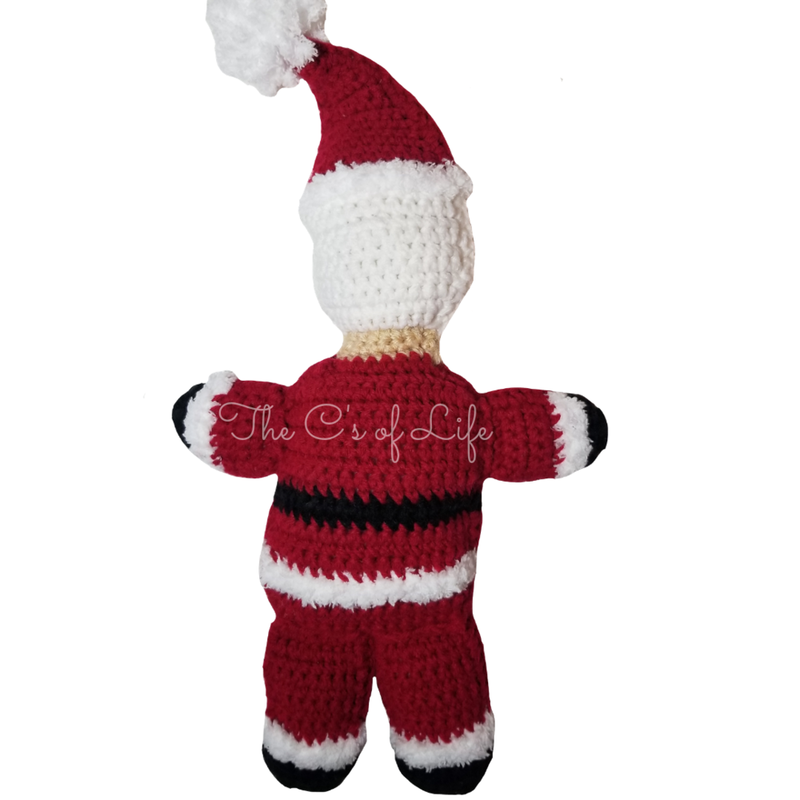 I had finished this stuffie late at night one night, and the next morning the kids saw him and said “Mom I like your ho ho!” so this Santa stuffie is a ho ho. Enjoy! Use #thecsoflifechristmas for all your Christmas projects so I can see your work. This written pattern is available for free here on my blog, if you’d like to purchase a PDF version which has been formatted for quick reading and easy printing with no ads, click the “add to cart” to buy now, or select a website of your choice. Gauge does not matter when making amigurumi/stuffed animals. 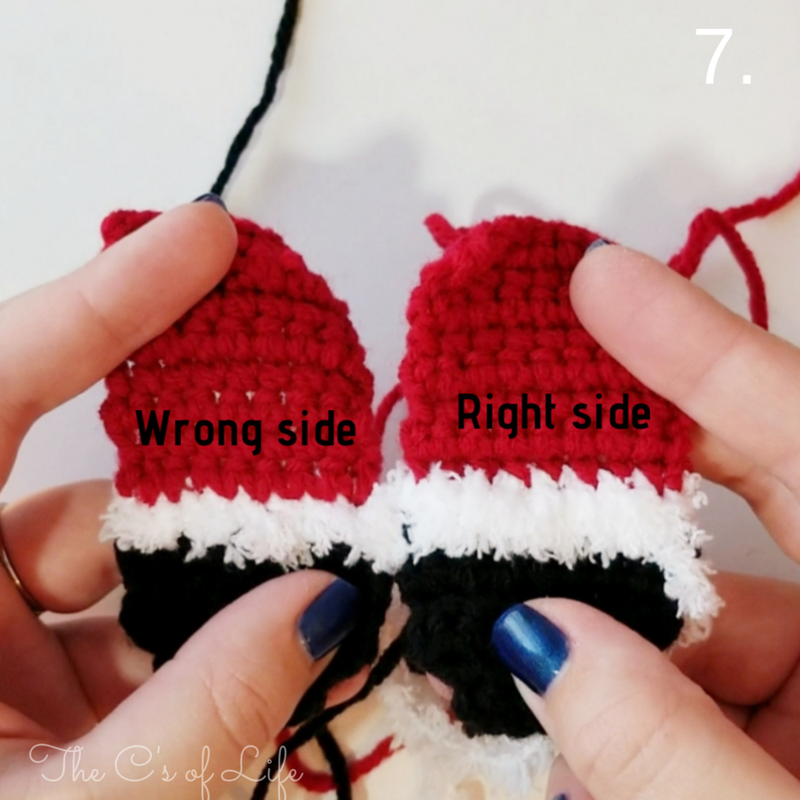 You can use any yarn and hook that you have, just make sure to size your hook down a bit from the suggested so that your stuffing doesn’t show through your stitches. But if you’re curious, here is my gauge. Finished Mr Ho Ho is approx. 15” tall when using the yarn listed. Stitch on a mouth with either black or a scrap of light peach in the beige space between the mustache and beard. Attach safety eyes between rows 33 & 34, three stitches in from the hair line. Using a 12” strand of yellow sew on a belt buckle over the black belt. Cut 4 pieces of red yarn, approx. 12” in length and set aside. Step 2: With your needle and 1 length of red yarn that you cut earlier, place one arm between the 2 body panels, sew the arm on by stitching through all 3 pieces (2 body panels, and 1 arm), tie a knot and hide the tails between the body panels. Step 5: with your needle and 1 length of red yarn that you cut earlier, place one leg between the 2 body panels, sew the leg on by stitching through all 3 pieces (2 body panels, and 1 arm), tie a knot and hide the tails between the body panels. 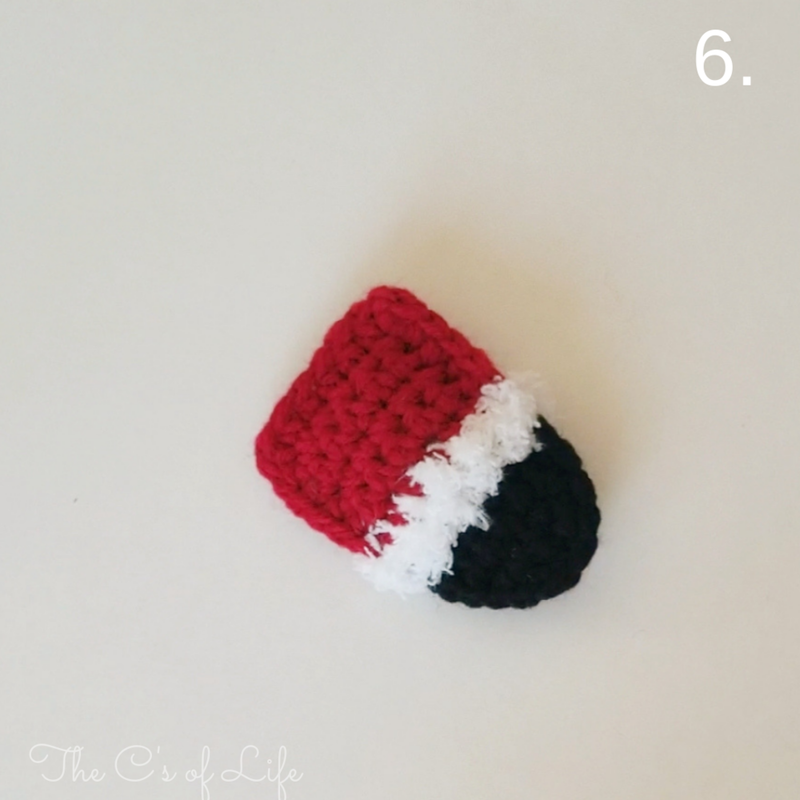 Make a pom pom out of pipsqueak yarn and attach to the sc outline at the tip of the hat.